Here is Loveland, Colorado we are experiencing our second snow storm within a week. Last week it snowed for three days straight leaving us with an accumulation of two feet. This storm, which started mid-morning, will have accumulations of 4 to 6 inches continuing over night. 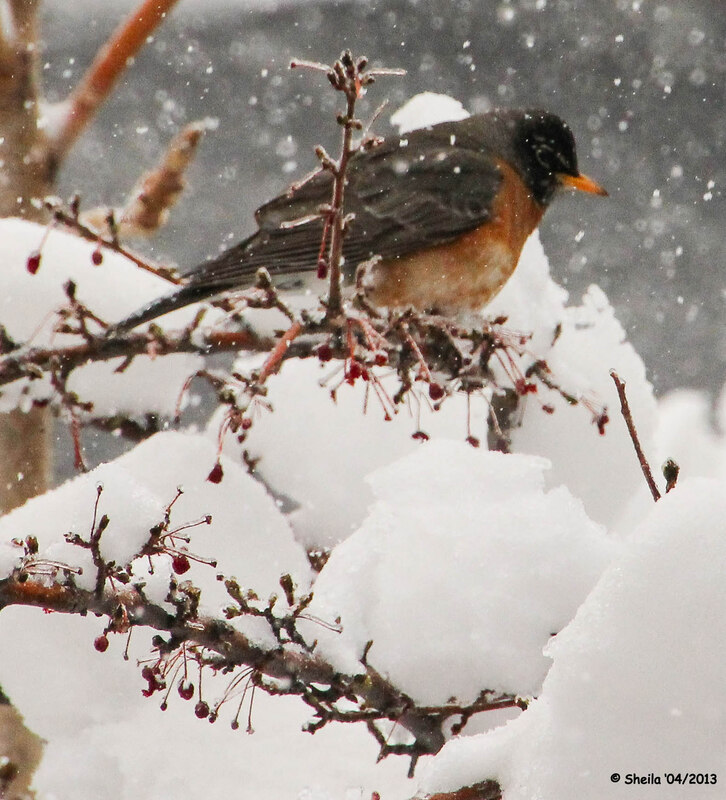 During the storm last week I found two frozen Mountain Blue Birds. 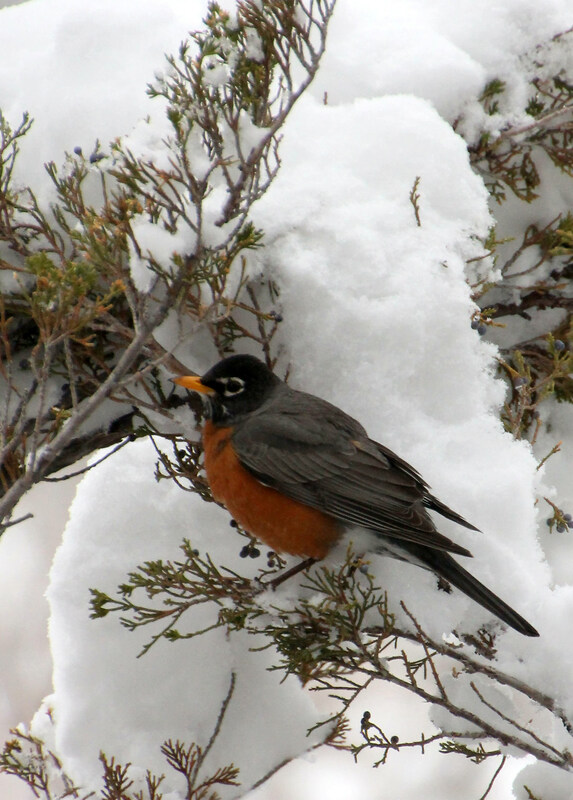 I think they were migrating through Loveland to higher elevations in Rocky Mountain National Park and sorry to say got caught in this usual spring weather. It left me feeling very sad. 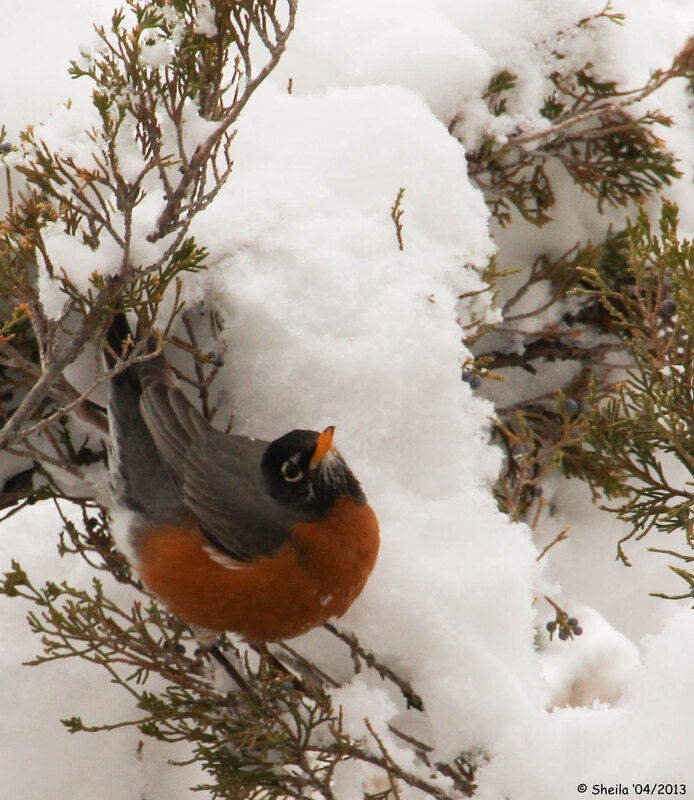 We have several juniper trees that produce berries and the Robins and Townsend’s Solitaire are enjoying them during these snow storms! We have always made a conscience effort to plant trees, scrubs and flowers in our yard that produce food for wildlife and it has always paid us back with many colorful creature visits! Found a few Red Berries! Previous PostPlaces we have visited since my last post…..Next PostNature’s Ornaments…..